Philip Morris & Son are delighted to introduce our newest clothing brand – Alan Paine Country Clothing. Celebrating over 100 years of tradition, we’re certain that the Alan Paine country clothing collection will be a hit with our customers. The original incarnation of the brand we know it today was established in 1907 by William Paine in Godalming, Surrey. William initially taught himself to knit as a hobby but this soon grew into a successful knitwear business. The business developed some of the first cable-knit sweaters that remain incredibly popular today. 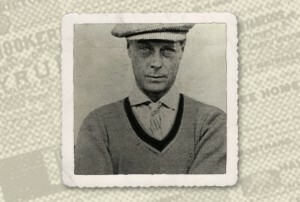 The sweaters grew in popularity and they began selling them to local cricket clubs before adding colour trims in the 1920’s. The most famous unofficial patron of the brand, the Prince of Wales (later to become King Edward VII), ordered some bespoke sweaters with his regimental colours. The sweaters became increasing popular with the public and the brand soon become known all over the country. At the outbreak of the Second World War the company was commissioned to produce sweaters for the British Armed Forces and were particularly favoured by the Royal Navy. Following the end of World War Two William’s son Alan took over the business and soon expanded to America forging excellent relationships with some of the major American department stores such as Macy’s and Bloomingdales. During the 1960’s the brand name, which up until this point had been ‘Paines of Godalming’, was changed to ‘Alan Paine’. One reason for this was the fact that many Americans had difficult pronouncing ‘Godalming’! The brand continued to grow throughout the 20th century and became popular across Europe as well as America. 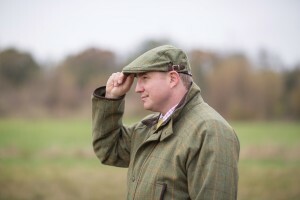 The Alan Paine Country Clothing Collection was launched in 2009. This collection is a range of classic, functional and quality British designed country and shooting clothing for both men and women. This collection has gone from strength to strength and offers the same characteristic quality associated with Alan Paine. Shooting coats are the backbone of the Alan Paine Country Collection and we’ve picked The Compton Waterproof Shooting Coat as the one we think will be a big hit with our customers. The first thing you notice about this coat is just how soft it feels. Some tweed coats can feel a bit coarse and don’t exactly scream ‘comfort’. The Compton is made from 100% wool tweed and it really feels like a premium quality coat. The key feature of the Compton Coat is the waterproof and breathable ‘AP-EX’ membrane which will keep you dry in the most testing of conditions, but will also allow moisture to wick away from your body keeping you warm. The Compton features a padded inner that isn’t too heavy but will still keep you nice and warm in the field. It has an abundance of great shooting features including two large cartridge pockets with drainage holes as well as fleece lined hand warmer pockets with retainer flaps allowing you quick access to your cartridges. It also features two internal zipped pockets and a third zipped pocket just under the placket. The attention to detail in this coat is second to none; the inner pockets are lined with tweed, the branded studs add subtle style and the optional Alan Paine pin is a really nice, eye-catching bit of detail. The Compton is nicely finished off with mock suede edging on the cuffs, zip welts and the collar. 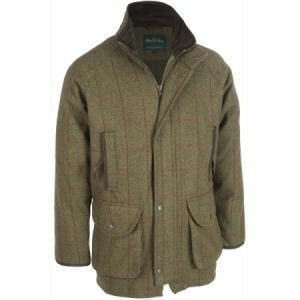 We really feel this coat offers exceptional value for money and certainly fits the bill for an impeccable shooting coat. Complete the look with the matching Compton breeks, waistcoat and cap for a truly stylish and practical shooting suit. 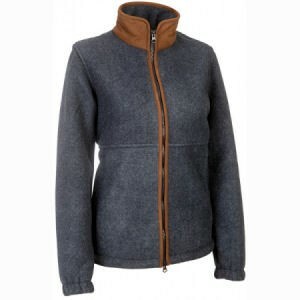 Our other top pick, or rather picks, are the Alan Paine Aylsham fleeces for both men and women. 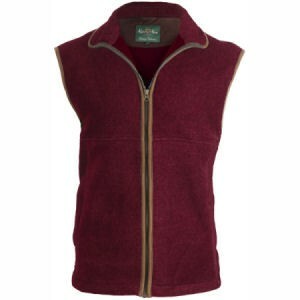 No country wardrobe is complete without a good fleece and the Aylsham fleeces certainly offer something for everyone. 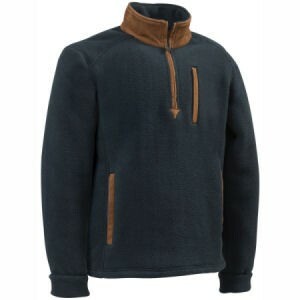 They’re available in both jacket and gilet versions for men and women, as well as a half zip fleece for men, and look great worn over a shirt. They’re ideal as a layering piece to go under a coat on those particularly cold days in the field, but look just as great worn around the town on milder days. They feature a stylish mock suede trim on the collar and zip and also feature stylish Alan Paine embroidery on the backs of the collars. 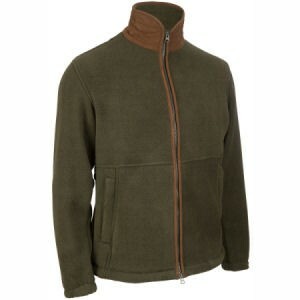 Whatever the occasion, you can be sure that the Alan Paine Aylsham fleeces will keep you snug but also looking stylish. We’re delighted to add Alan Paine Country Clothing to our extensive clothing collection and really feel our customers will love it as much as we do! Above is just a small taste of what the collection has to offer. For more information please visit our Alan Paine Clothing department. Alan Paine, Alan Paine Country Collection, Aylsham, Compton, Country Clothing, fleece, New Season, Philip Morris And Son, shooting, Shooting Clothing. Bookmark.